O objetivo desse tópico é listar todos os jogos que perderam sua modalidade online e por consequência a possibilidade de conquistar certos troféus. 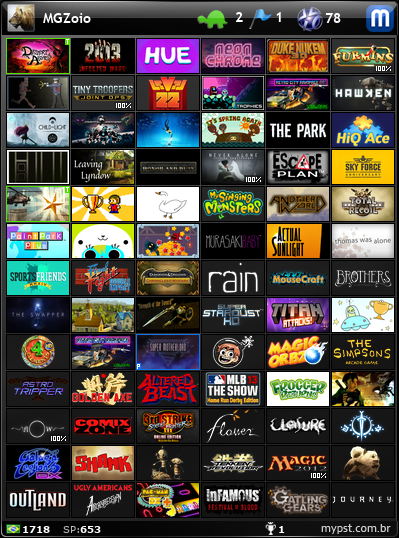 Para jogos implatináveis por glitch, bug ou outros acesse aqui. The decisions to retire older EA games are never easy. The development teams and operational staff pour their hearts into these games almost as much as the customers playing them and it is hard to see one retired. But as games get replaced with newer titles, the number of players still enjoying the older games dwindles to a level -- fewer than 1% of all peak online players across all EA titles -- where it’s no longer feasible to continue the behind-the-scenes work involved with keeping these games up and running. We would rather our hard-working engineering and IT staff focus on keeping a positive experience for the other 99% of customers playing our more popular games. We hope you have gotten many hours of enjoyment out of the games and we appreciate your ongoing patronage. In April 2014, Glu announced that it would shut down the GameSpy servers on May 31, 2014, so its developers could focus on work for Glu's own services. 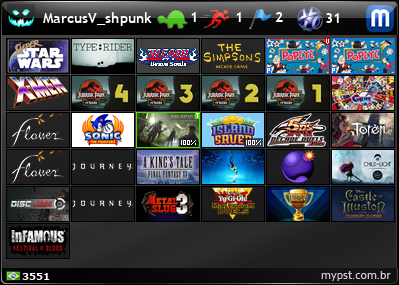 Games that still used GameSpy are no longer able to offer online functionality or multiplayer services through GameSpy. 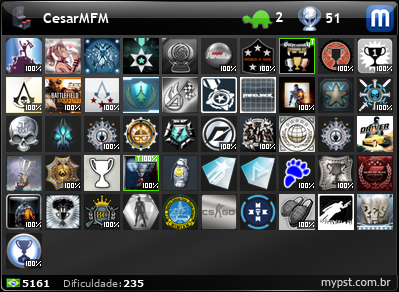 OBS: O enceramento dos servers da GameSpy’s foi marcado para 30/06/2014, no entanto, diversos jogos se mantiveram com servidores ativos até o dia 16/07/2014. 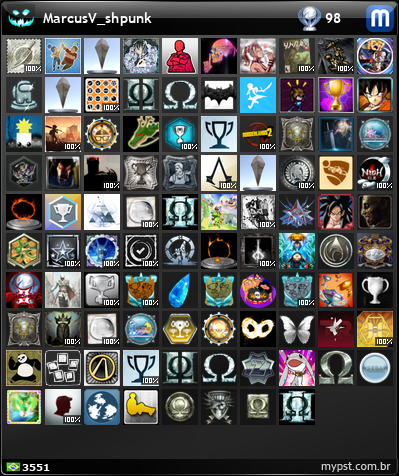 Implatinavel em: Não, é possível fazer todos os troféus offline. When i phoned up codemasters in regards to this i got to know that PS3 gamers who own International Cricket 2010 from now will not be able to play the game online. The reason being is that the server that codemasters were using for online gameplay for ic2010 has been acquired by another company which has requested to terminate all services with codemasters. At time of writing, International Cricket 2010 was still able to connect to online services on Xbox 360 (only), presumably due to the more centralised servers used for Xbox Live compared to other platforms. PC and PS3 versions of Ashes Cricket 2009 have also lost online connectivity options. Implatinavel em: Não, leia como ainda é possível jogar online aqui. Consulta feita em EA ONLINE SERVICE UPDATES em 25/03/2018. After this date, you will still be able to play these games offline. The servers produce an error whenever you you try to upload a photo. The first round of shutdowns will occur on March 31, and will include iOS titles Battlefield 3: Aftershock , Fantasy Safari, and Ghost Harvest. A larger group will be shut down on April 15, including: Boom Blox Bash Party (Wii), Burnout Revenge (Xbox 360), EA Create (PC, Mac, Wii, PS3, 360), EA Sports Active 2.0 (PS3, Wii, 360), EA Sports Active NFL Training Camp (Wii), FIFA 10 (PSP, Wii), Godfather 2 (PC, PS3, 360), EA Sports MMA (PS3, 360), Need for Speed Prostreet (PS3, 360), The Saboteur (PS3, 360), and Spare Parts (PS3, 360). We are writing today to inform you that after many years of supporting DC Universe Online (DCUO) on PlayStation 3, we will officially shut down PlayStation 3 support on January 31st, 2018. Implatinavel em: Diferente dos demais dessa lista o problema do Defiance é relacionado aos troféus de suas DLCs que se tornaram impossíveis de serem conquistada após a transição para o modelo F2P. Após passar para esse modelo de negócio as DLCs compradas após essa mudança deixaram de instalar na conta do jogador impossibilitando a conquista. Hi everyone. I'm afraid we have some bad news. Destiny of Spirits will be ending service on June 30, 2015. Fonte: Destiny of Spirits Official Twitter account. Disney Interactive is shutting down online services for its toys-to-life video game Disney Infinity over the course of the next eight months, removing in-game purchases and ending support for the games’ community features. As part of the shutdown, some versions of Disney Infinity will be removed from various online stores and will no longer be playable as of September. In an email sent by Disney Interactive today, the company outlined its plans to end online service for Disney Infinity. Some of those changes go into effect today; Disney has already ended in-game purchases in the PC version of Disney Infinity 2.0 and the Android, Apple TV and iOS versions of the game. Disney says the console versions of Disney Infinity "will continue to operate as usual with full access to figures and play sets only with the exception of community content features and online multiplayer." Players will be able to upload and download Toy Box creations until Sept. 30. On that day, the Disney Infinity community team will stop approving new content. After Sept. 30, the Android, iOS and PC versions of Disney Infinity will no longer be playable. On 2/21 SCEA will end online service for Everybody Dance, Everybody Dance 2, Everybody Dance 3, Everybody Dance Digital. Thanks for playing! On their Service Updates page EA list the closures as accounting for a tiny percentage of online traffic to their servers. The EA SPORTS™ games scheduled for shutdown in February 2011 represent roughly 1% of all peak online players across all EA titles. Despite some people’s perception, there is a lot of behind-the-scenes work involved with keeping these older games up and running. We would rather our hard-working engineering and IT staff focus on keeping a positive experience for the other 99% of customers playing our more popular games. These decisions to retire games is never easy. The development teams and operational staff pour their hearts into these games almost as much as the customers playing them and it is hard to see one retired. We hope you have gotten many hours of enjoyment out of the games and we appreciate your ongoing patronage. 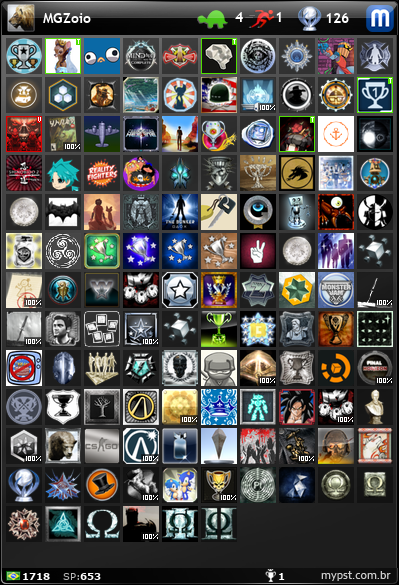 Desde novembro de 2014 não é possível conquistar o troféu Challenge Accepted, pois a EA parou de atualizar os desafios semanais. 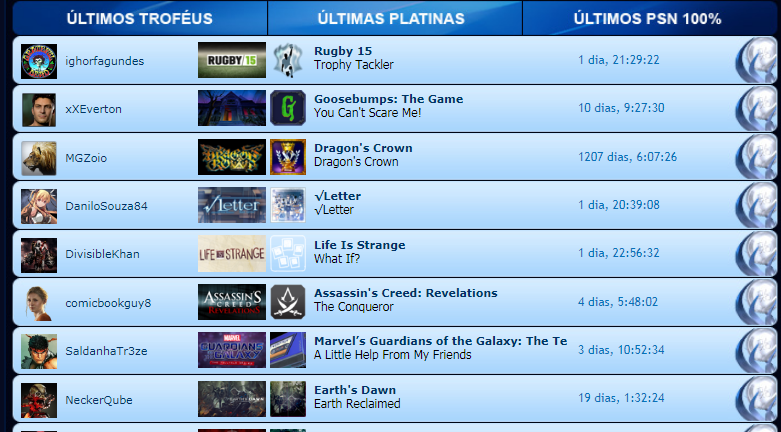 Desde 01/11/2014 não é possível conquistar o troféu Challenging, pois a EA parou de atualizar os desafios semanais. Desde Janeiro de 2015 não é possível conquistar o troféu Challenging, pois a EA parou de atualizar os desafios semanais. Sony Online Entertainment (SOE) have just announced that they're shutting down the servers for Free Realms on both PC and PS3 on March 31st 2014. Somente os troféus Super Ace e Ultimate Ace são impossíveis de serem conquistados pelo fechamento dos servidores. Os demais troféus podem ser conquistados via LAN. As outlined in the NBA 2K11 manual, online multiplayer support for NBA 2K11 was scheduled to be turned off in November 2011, but as announced on 11/01/2011, 2K Sports decided to leave servers for NBA 2K11 on until April 2012. The servers have stayed on up through this date but on July 31st, 2012 at midnight EST, they will be discontinued. #NBA2K15 server to be discontinued 12/31/16. Players won't be able to play ranked games. As of November 12, 2014, though, new content will no longer be coming to PlayStation Home with March 31, 2015 acting as the day the platform officially shuts down. #WWE2K14 server to be discontinued 10/31/15 at 11:59PM PST, ending online matches & community creations. #WWE2K15 server to be discontinued 5/31/16 at 11:59PM PST, ending online matches & community creations. WWE All Stars came out in April 2011 and it has obviously been 2 years now since it’s May 2013 now. This comes as sad news for owners of the game that still played it online. Existem outros comentários que apontam servidores ainda ativos em Out/2012, mas sem a mesma exatidão. Acho meio desnecessário informar a data que o desligamento foi programado, o que realmente importa é que foi desligado. Enfim, ótimo trabalho, precisando de ajuda ou caso algo venha a precisar ser add, eu comento aqui! Abç! Excelente, que bom que esse tipo de tópico retornou. Será que não vale a pena incluir Batman Arkham Origins? Ele tinha data de fechamento em dezembro de 2016, mas ainda está funcionando(porcamente), porém no próprio jogo avisa que o serviço pode terminar a qualquer momento. Enquanto tiver funcionando não entra na lista. Quando efetivamente morrer alguém vai informar. Oi estava listado darksiders 2,mas pelo que eu sei do jogo aquele trofeu do jogo de enviar um item para um amigo ainda é possivel com o crucible.obs: Realmente quando voce coloca o online pass nao funciona ,mas tem relatos sobre o crucible que dizem funcionar. Olá pessoal, parabéns pela iniciativa em criar esse tópico de grande importância para a comunidade dos games. Teve uma época que eu estava montando (melhor dizendo, unificando) uma listagem de jogos que se tornaram implatináveis, coletando informações de diversas fontes da internet. Após um longo tempo realizei uma atualização do tópico. Ainda falta bastante coisa, mas vamos indo. 1 ano depois é que me toquei que há a diferença entre desligar servidores online e ficar implatinavel. Vide o caso de GTA V que da pra jogar online mas ficou implatinavel, qual o objetivo deste tópico? "O objetivo desse tópico é listar todos os jogos que perderam sua modalidade online e por consequência a possibilidade de conquistar certos troféus." Não é listar os jogos com servidores desligados que, consequentemente, se tornaram implatináveis, mas sim por perder certas modalidades do recurso online. Gostaria de avisar que a data de fechamento do servidor do jogo MLB 14 The Show está incorreta. Segundo andei pesquisando o servidor fechou o dia 02 de novembro de 2015. A data de 18 de junho de 2015 foi o primeiro anúncio porém, o desligamento do servidor foi adiado.